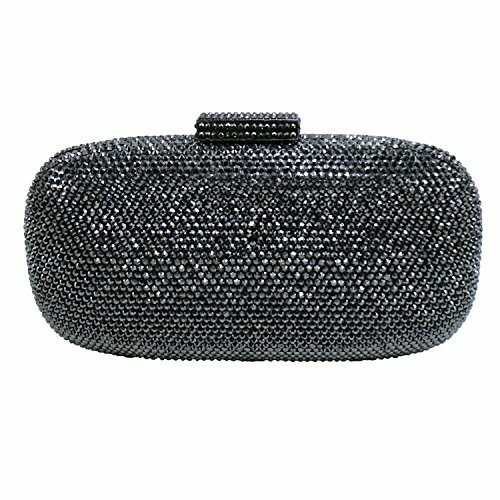 Occasions: Beautiful clutch is perfect for weekend, shopping, evening party, prom party night out or formal occasions and so on. 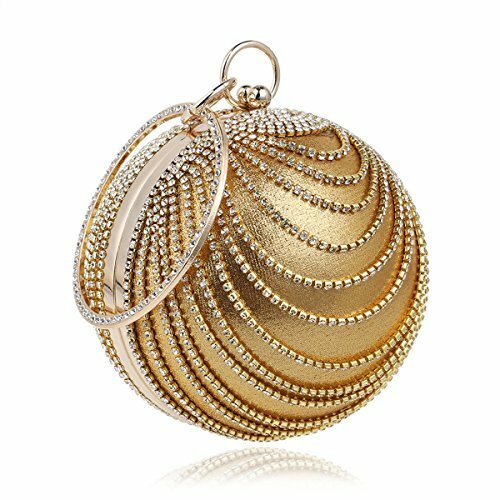 To see more similar products, please click the brand name QZUnique or browse in our store Global Best Discount. 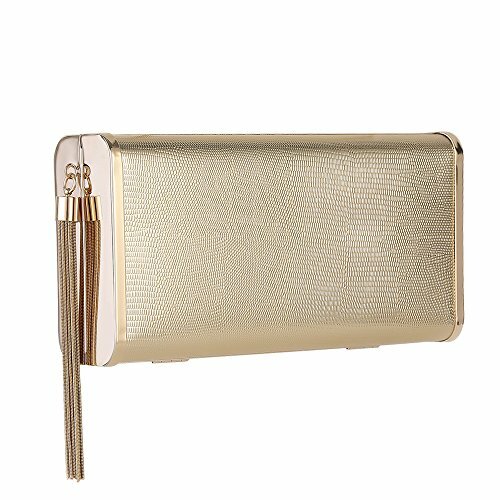 Item Specifics: *Occasion: Casual and Party *Care Instruction: Keep it in a dry, cool and ventilated place Avoid exposure to chemicals,spikes and hot place Clean it with dry soft cloth when got stains *This alloy metal hard case clutch is a stunning addition to any look. 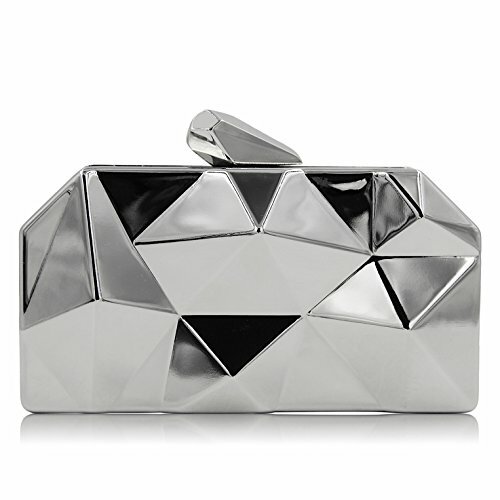 The clutch is styled to look like an abstract cut stone or gem. The small inner compartment is roomy enough to hold your essentials for a night. 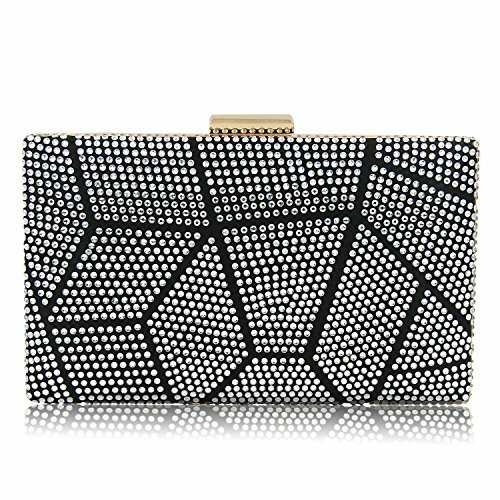 Also comes with a removable chain to transition this party clutch into a shoulder or crossbody bag. 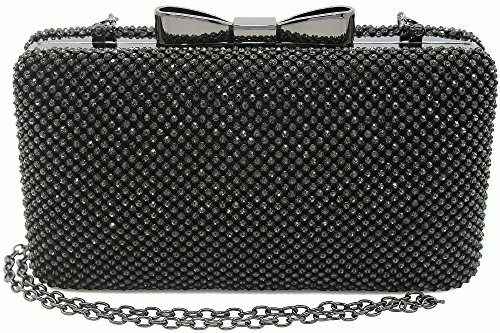 Simple, vintage, noble style, evening bag for wedding party, prom, cooktail, fashion show, ceremony, shopping, dinner, perfect accessory for any night out Package includes: 1 * BAG ONLY Accessories: 1x 47.24" metal chains Purchasing Notes: - Due to the monitors difference, the true color might be slightly different from the photos - Due to manual measurement, it allows 1-2(cm) discrepancy Return Policy: Free exchange for wrong item shipped or item damaged. For DO NOT LIKE STYLE/COLOR reason or size problem, customer's responsibility to return the items to our facility in CA, US. Thanks for your understanding! 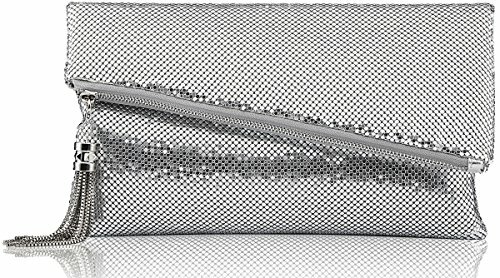 Our Beautiful Stylish evening clutch bag is covered with Shimmer fabric, will add a subtle glow to your evening formal attire. The Front surface is decorative with sparkling rhinestones and Arch arranged Elegant mellow Artificial Pearls. 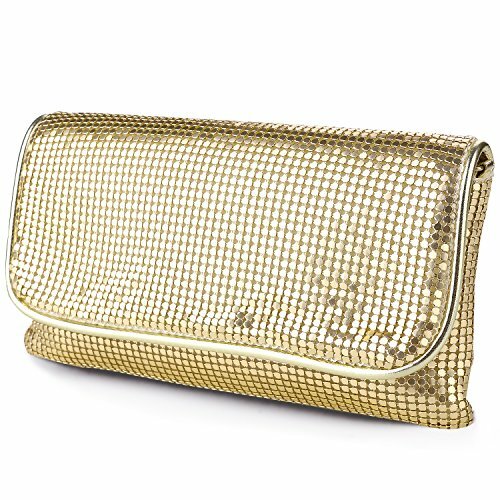 This bag is high quality with strong metal frame.It is enough to fit a 5.5" cell phone, compact mirror, lip gloss and a pack of gum. Glossy Satin interier can protect your kits from scratching. 2 removable shoulder chain inside can provide you a shoulder bag or handbag style. It is different styles in 1 bag - clutch, shoulder, crossbody bag, handbag. It's so elegant for wedding, party, ball, family reunion, prom, banquet, dinner and other important formal occasions. Features:Size: 21.5cm x 11.6cm x 4.2cm / 8.46" x 4.57" x 1.65".Size of Chain: Short one's length is 38cm,about 18cm using length, The long one is 112cm unfolded, about 50cm using length. Note: 1. The Color will be slight different in different lights.2. The Size will be some errors because of manual measurement.3. How to open? Don't twist! Just lift the button up gently. 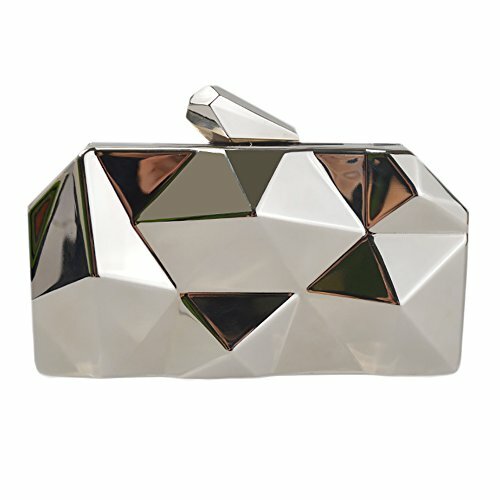 Copyright © Wholesalion.com 2019 - The Best Prices On Metal Evening Handbag Online.